17. A transformed life comes from the inside out, not the outside in. Conforming folks to churchy culture and respectable behaviour is not too difficult. Having said that, for centuries people have been trying and failing with a transformation by Aristotle’s external ethics approach, because we are designed as heart-driven creatures. Maybe it’s time we followed Luther in rejecting the Philosopher’s theology and recognized the transformative power of a biblical new covenant ministry. 18. A transformed life actually has new wants, so profound preaching must penetrate the heart of the listener. You know the old maxim, if you aim at nothing, you’ll probably hit it every time. So surely we must at least be aiming to preach so that God’s Word can engage and penetrate the heart – to aim for information transfer only, or pressured behaviour only, is to aim to miss. 19. A transformed life is not about memorised outlines, but about the Word impacting life in the moment of preaching, and continuing to do so subsequently. So the main idea of the passage and its application needs to be remembered. This takes work. Too often we pour our energies into helping folks remember outlines, or we put no effort into helping them remember and they walk away with untargeted illustrations and anecdotes. Main idea and application – in the moment of preaching, and in the days to follow. 20. 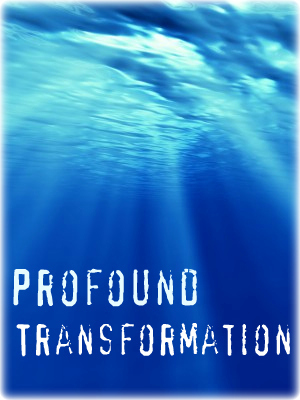 True transformation is humanly impossible, only God can do it, so pray hard and preach by faith!